Producing highest yield with organic farming using produce from vermiculture & composting with natural methods of growing plants. Broccoli, that green plant that most children and teens don’t want to eat because as they say, of its texture and it has no taste at all. From the cabbage family, it maybe tasteless to some and just can’t eat the flower and its stem. 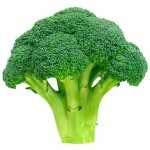 but broccoli if packed with so many vitamins, minerals and nutrition that our body will surely benefit from it. is good for our body’s digestion, cariovascular and immune systems. This green vegetable can be eaten raw in your salad or cooked with your favorite stew or steamed fry. No matter how your cook broccoli, it still gives the same nutrients to the body. Here are some of the benefits we can get from broccoli. Broccoli’s high fiber content digestion is very good for the digestive system. This vegetable has 1 gram of fiber per 10 calories. The fiber content of broccoli helps maintain a healthy intestine with the healthy bacteria level it contain. 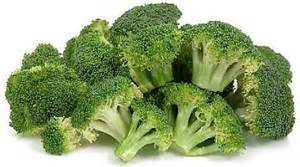 Broccoli has isothiocyanates, sulforaphane and indole-3-carbinol are three of the cancer-preventing properties of this healthy vegetable. It is best to reduce the risk of having breast cancer. Broccoli’s anti-inflammatory properties helps mostly for people suffering from osteoarthritis. The isothiocyanates and omega-3 fatty acids also help to regulate the inflammation. This green vegetable also reduces the cholesterol level in the blood. With reducing the cholesterol, broccoli helps prevent damage the blood vessel lining of the heart. 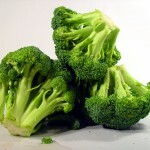 With lutein and zeaxanthin, broccoli is good for they eye health. It reduces the risk of cataracts and other incurable condition that affects the eyesight.